Currently one of the leading causes of death in the U.S., statistics indicate that the rate of suicide in the U.S. is on the rise. Approximately 121 Americans die from suicide each day which makes one wonder whether more can be done to prevent the unfortunate act. The reality is that not everyone who is suicidal shows obvious signs like talking about wanting to die, giving away prized possessions, and purchasing firearms. Instead, a person sleeping too much or having mood swings, depression, and anxiety may seem “normal” to family, friends, and partners who are used to such behavior. In this case, it’s important to do a deeper dive into any current or underlying mental health issues that may be lurking within the family history to determine whether a loved one is at risk. There’s a stigma that anyone with a mental illness is likely to commit suicide. In actuality, most of these individuals don’t die by suicide. Yet 90 percent of those who do commit suicide have a mental disorder that’s been diagnosed by a mental health professional. The good news is that issues like depression—one of the most frequent signs in someone having suicidal thoughts—can be treated. Substance abuse disorders like drug addiction are another form of mental illness that can prompt suicidal tendencies due to depression and impulsive acts. This is why it’s so important to receive inpatient treatment for addiction. Recovery survivors will be removed from the volatile surroundings that caused their erratic and addictive behavior so they can focus on treating direct and underlying issues in a non-judgemental environment. Along with common signs, a history of mental illness, and drug/alcohol abuse, there are other factors that can prompt suicide that aren’t talked about as much. However, it’s important to know what they are in case you’re concerned about a friend or loved one. ● Ethnic groups facing significant discrimination—especially with displacement or immigration issues. ● Youth who are bullied. Studies reveal that suicide is the third-leading cause of death among the younger generation, responsible for 4,400 deaths per year. At least half of these suicides are related to some form of bullying. ● Job-related issues, such as having a stressful profession like a doctor or entrepreneur, or experiencing job loss altogether. 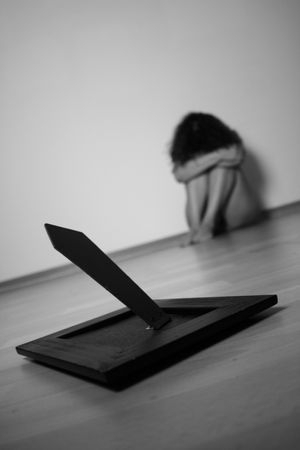 ● Previous abuse or trauma such as sexual and/or verbal abuse. ● Discrimination against race or sexual orientation in a verbal or physical manner. ● Having a good social support system that includes close family, friends, co-workers, spouse/partner, neighbors, and people from the community where you live. ● Having children or being pregnant can be a protective factor, but this does not include scenarios where a woman experiences postpartum depression. It’s wise to talk to your doctor in advance of the birth to prepare for any potential issues that may come up so emotions don’t get out of hand. ● Healthy lifestyle habits like regular exercise, a nutritious diet, and limited alcohol consumption can improve physical and mental health while reducing the risk for suicide. If you’re approaching someone you think is suicidal, avoid becoming accusatory. Instead, be a listening ear with a supportive and loving voice, but don’t be afraid to be direct, either. Beating around the bush is only liable to give your loved one the impression that suicide is too taboo of a topic to discuss.